3 Women Lost Their Eyesight After Shady Stem-Cell TreatmentsThey had their own stem cells injected into their eyes at a Florida clinic, and the results were not good. How the Media Botched the Gordie Howe Stem-Cell StoryThis was one of the worst examples of credulous, damaging science reporting in recent memory. This Medical Treatment Is Potentially Groundbreaking. So Why Isn’t It Available?A new documentary explores the controversy surrounding fetal stem cells. This Company Is Trying to Use Stem Cells to Bring Back the DeadDon’t sweat the zombie apocalypse just yet, though. Did a Stem-Cell Treatment Save Gordie Howe?And how much of the hockey legend belongs to a public who still wants a piece of him? 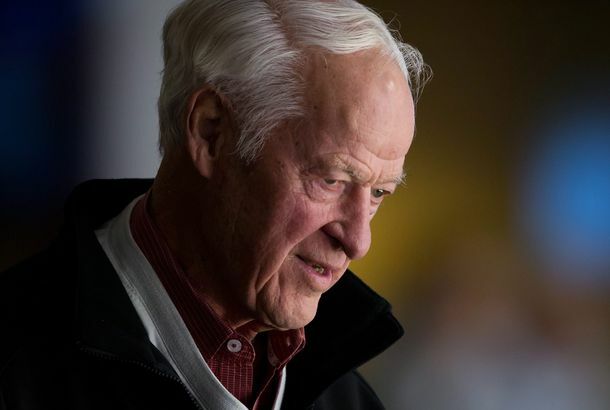 Did Stem Cells Save Gordie Howe?When medical-miracle stories seem too good to be true. Don’t Pay for Cosmetic Procedures With ‘Stem Cells’People are making all kinds of wacky claims. Rick Perry Is on the Cutting Edge of Medical TechnologyHe’s using his own stem cells to heal his back. Administration to Appeal Stem-Cell RulingIf order is upheld, $54 million in government financing will be suspended. Judge Blocks Obama’s Stem-Cell Research ExpansionSetback for the administration’s agenda. What Do You Think About Selling Your Eggs for Stem-Cell Research?They’ll pay you a lot for it. And you, as a New Yorker, are one of the few to have the opportunity. Obama to Reverse Ban on Stem-cell FundingHe’ll further dismantle President Bush’s legacy by signing an executive order repealing a ban on federally funded embryonic-stem-cell research. Why Won’t the Music Business Hire Nerds?The music business, increasingly facing irrelevance in an economy ruled by technological innovation, has just announced its newest hire — it’s some guy with a background in the music business!